Here is a picture taking during a caching course held in Haiti by Haitian Hockey Federation. 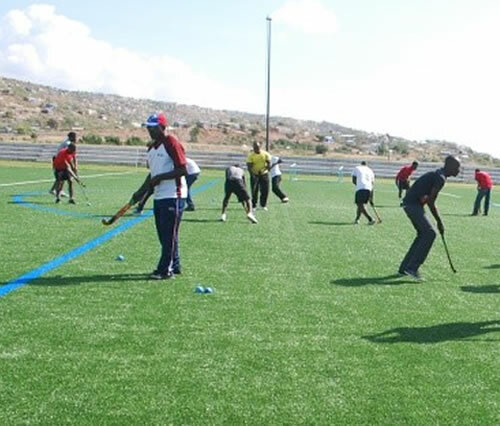 The Haitian Hockey Federation had organized its inaugural coaching course in Haiti, under the guidance of Shiv Jagday from January 16th to January 20, 2015. Shiv Jagday is an FIH accredited coach who originally hails from Punjab in India. He was a former Canadian and USA national team coach with an exposure of a basic junior to the extreme Olympic and World Cup level. The objective of this course was to introduce the delicacy of the game to the players, 42 trainee coaches and some persons interested in the game with knowledge of administration. The course was well received by all the participants. The participants were fascinated by the teaching techniques and the coaching experience of the Coach Shiv. Several media were present to report the activities. Here is a picture of Soni Mustivar who just signed with Sporting Kansas City. 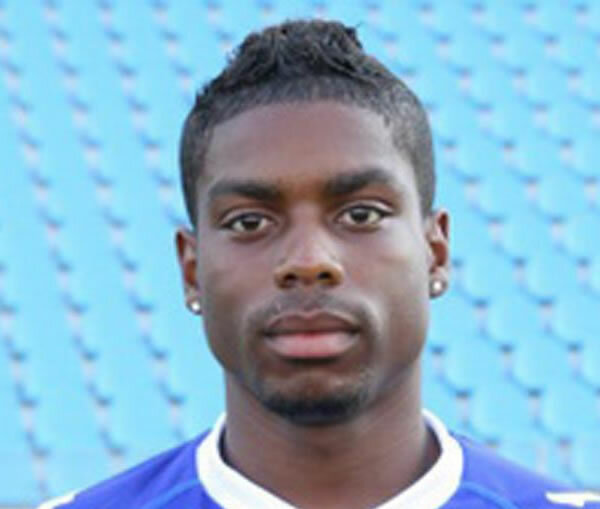 Mustivar had played for the Haiti men's national team six times in the past. Soni Mustivar, a midfielder from Haiti, will be joining Sporting Kansas City as it leaves for the second half of the training camp that takes place in Tucson, Arizona before the start of the season. The football player was signed pending his receiving a P-1 Visa and an international transfer certificate in order to participate. His performance in six Haiti men's national team appearances has made his recruitment possible, and the coach of Sporting KC, Peter Vermes, has said he is sure to be an asset to them once he's learned their mode of playing. 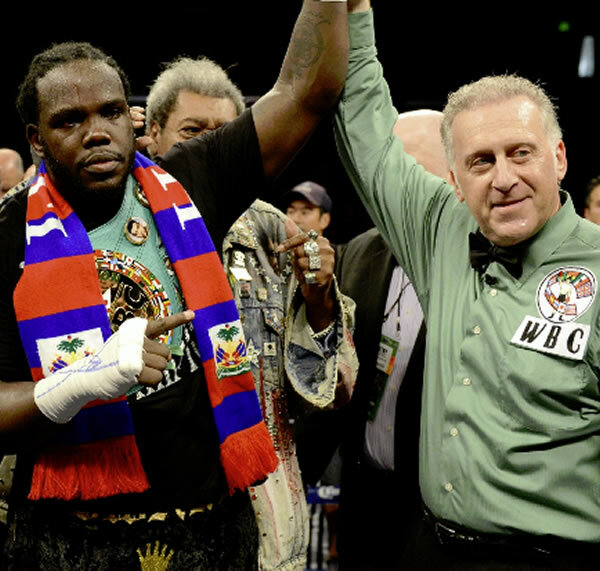 Haitian-American Bermane Stiverne has achieved the feat of being the first world heavyweight champion from Haiti. 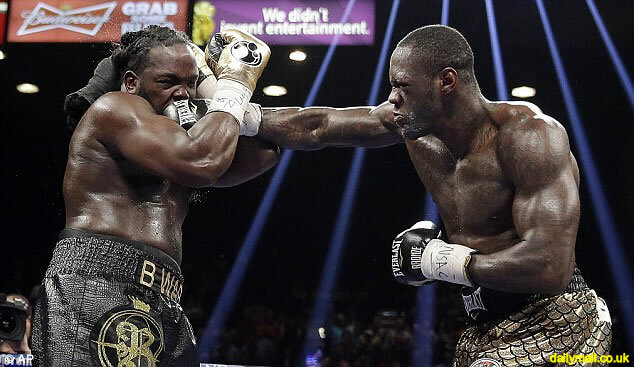 The Stiverne family moved to Montreal where Bermane trained as an amateur before turning pro. He eventually moved to Las Vegas to continue his boxing career. Bermane will face opponent Deontay Wilder to defend Berman's title in Las Vegas on January 17th. He says ". . . it doesn't matter where you are born . . . dreams can come true like it has for me." Deontay Wilder is the new WBC heavyweight world champion after beating Haitian Bermane Stiverne for the heavyweight world championship. He won by scores of 118-109, 119-108 and 120-107 in Las Vegas. Wilder took control of the first round with solid footwork and effective jabs against his rival. Stiverne, less aggressive, saved his punches till the end of the first round. Near the match's end Wilder pummeled Stiverne, knocking him to the mat. He recovered connecting with two body blows. Wilder in the fourth round connected with a left hook, winning the WBC. Wilfrid Macena, Mackenson Pierre and Sandy J.L. Louiseme are the names of three athletes from Haiti who lost their legs in the 2010 earthquake. They received prosthetic and rehabilitation care through the "Healing Haiti's Children" under the sponsorship of the Knights of Columbus and the University of Miami-affiliated Project Medishare. Their program has given prosthetic limbs to 1,000 people and over 25,000 people have received other rehabilitation services from them. Some others of the amputees like Pierre, Macena and Louiseme, have also signed as members of a new soccer team composed of amputee athletes from the Haitian capital and the surrounding region. 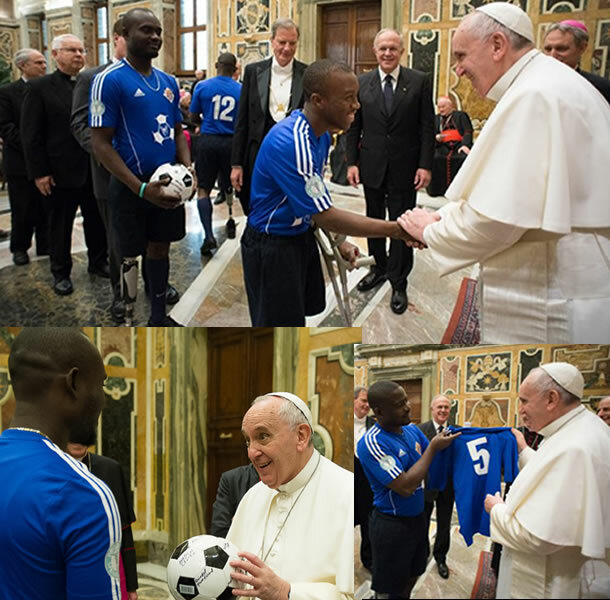 On January 10, 2015, in a conference in Rome was called by Pope Francis, these three soccer players presented him a jersey with the number '5'--- the number indicates the years since the earthquake, and a ball signed by the team members. 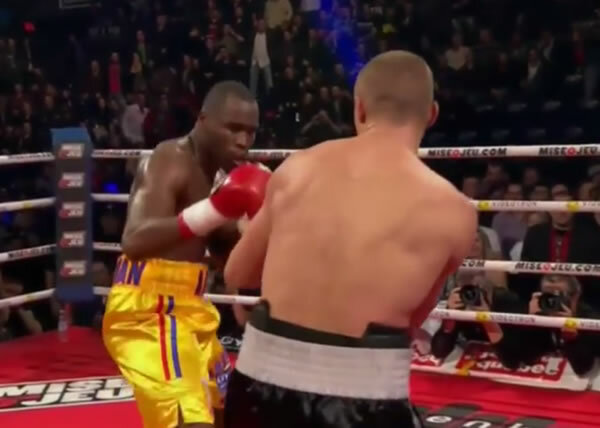 Here is a picture of the Haiti-born Canadian Adonis Stevenson as he knocked out Dmitry Sukhotsky in fifth round on December 19, 2014. 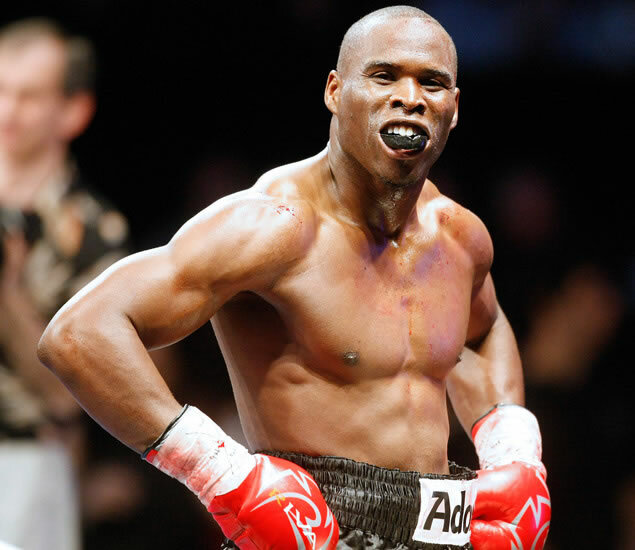 Adonis Stevenson has done it again; though some may say it was an easy win against the Russian, Dmitry Sukhotsky, who was smaller and obviously a lesser fighter than the polished Haitian-Canadian boxer. 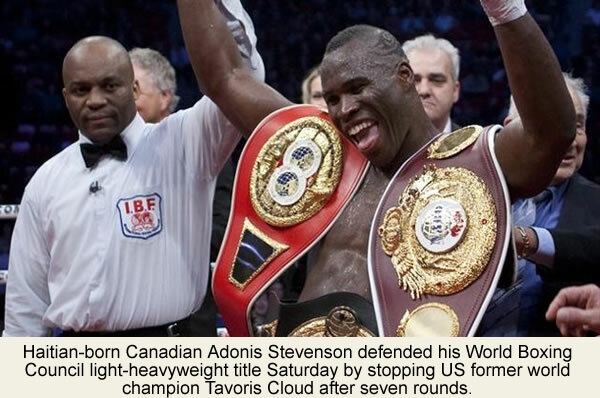 The televised fight ended with Stevenson ranking up a 25-1 record with 21 knockouts, as his opponent was taken out with a knockout within the fifth round. The win also means that Stevenson will keep his WBC light-heavyweight title, which he earned after taking down Chad Dawson in 2013. Super middleweight and sometimes light heavyweight fighter, Haitian born Adonis 'Superman' Stevenson is well known for his knack of doling out knockouts. The 5ft. 11in. boxer, who has been fighting professionally since his debut in 2006, issued his first career TKO to opponent Mike Funk in his professional match debut. Since then, he's added seventeen others to his knockout repertoire. His most recent was given to Chad Lawson, a final blow that won Stevenson the WBC and The Ring Light Heavyweight titles. In Canadian pro boxing, four are Haitian-American. Stevenson, WBC Light Heavyweight champ; Pascal, former WBC Light Heavyweight champ; Jean, IBF Light Welterweight champ, and Stiverne, WBC Heavyweight challenger. Stevenson is a belter and a knockout machine; Pascal showy and athletic; Jean quick and forceful; Stiverne a heavy, aggressive puncher. Jean spoke about his match with Peterson. Knowing fight fans will heckle him, he claims it will ". . . give me more rage and energy to perform . 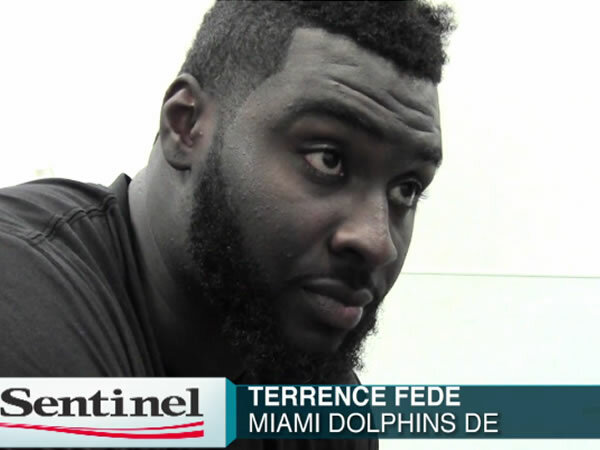 . ."
Fede, who got soon drafted by the Dolphins in last May while arriving from New York, has said his whole family is Haitian. Fede, a seventh-round collect from the tiny Marist College in upstate New York, is not good at speaking Creole but understands the language more than he can speak. The duo feels themselves as a role model for the Haitian community, especially to the Haitian kids who dream to become NFL players in their lives - their achievement is no doubt a big help, and it undoubtedly boosts a lot of kids with self esteem. 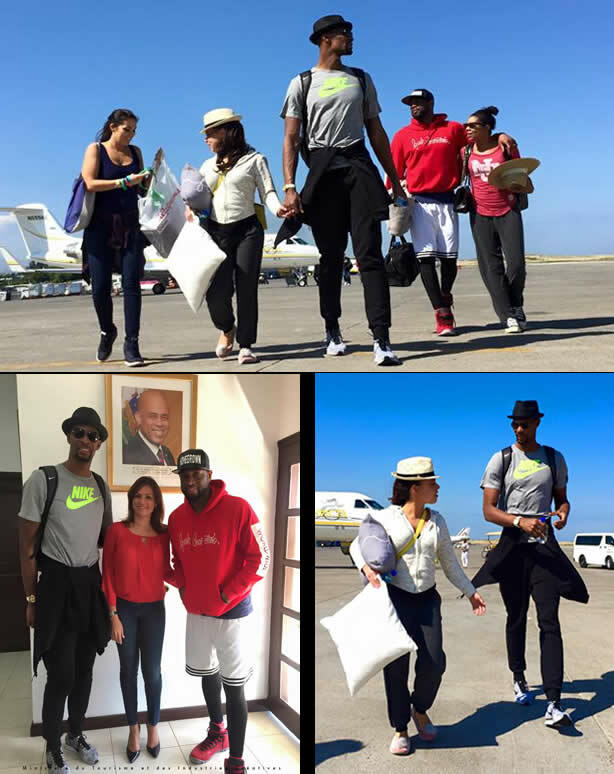 They two visited Haiti shortly after the 2010 earthquake.